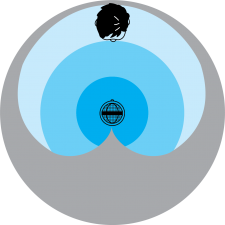 Building an audience for your streaming channel is not just about the content, but also the production quality. 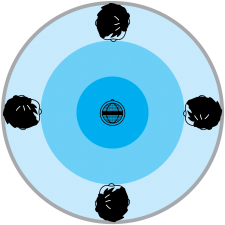 Having the right microphone allows you to focus on engaging your audience, instead of worrying if they can understand you. 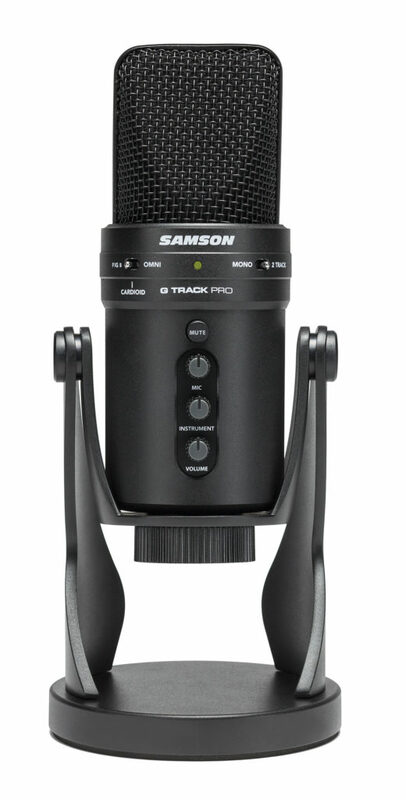 So when choosing a microphone for your live-stream, trust a brand that’s been making them for over 35 years… Samson introduced the world’s first USB studio microphone in 2006, and has been a leader in microphones for live performers, recording engineers and content creators far longer. G-Track Pro’s dual 1″ (25mm) condenser capsules with ultra-thin diaphragms allow you to capture even the finest nuances of your voice with crystal-clear detail. 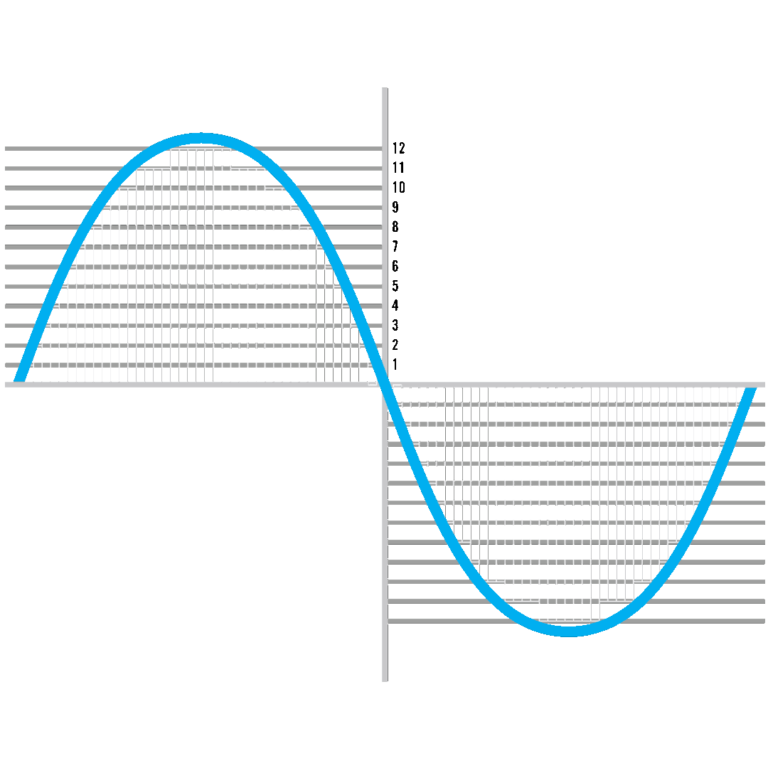 A microphone offers its best frequency response when pointed directly at a sound source. 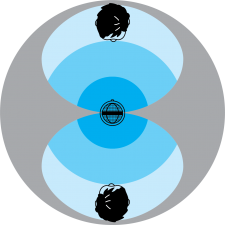 This is why a microphone’s polar pattern is one of its most important characteristics, as it dictates the microphone’s directionality. While there is no “right” polar pattern (just “different”), selecting the most ideal pattern for your specific application can greatly improve the quality of your final product. G-Track Pro let’s you easily select between three different polar patterns depending on the project at hand. Picks up sound equally all around the microphone. Picks up sound directly in front of the microphone. Picks up sound in the front and rear of the microphone. 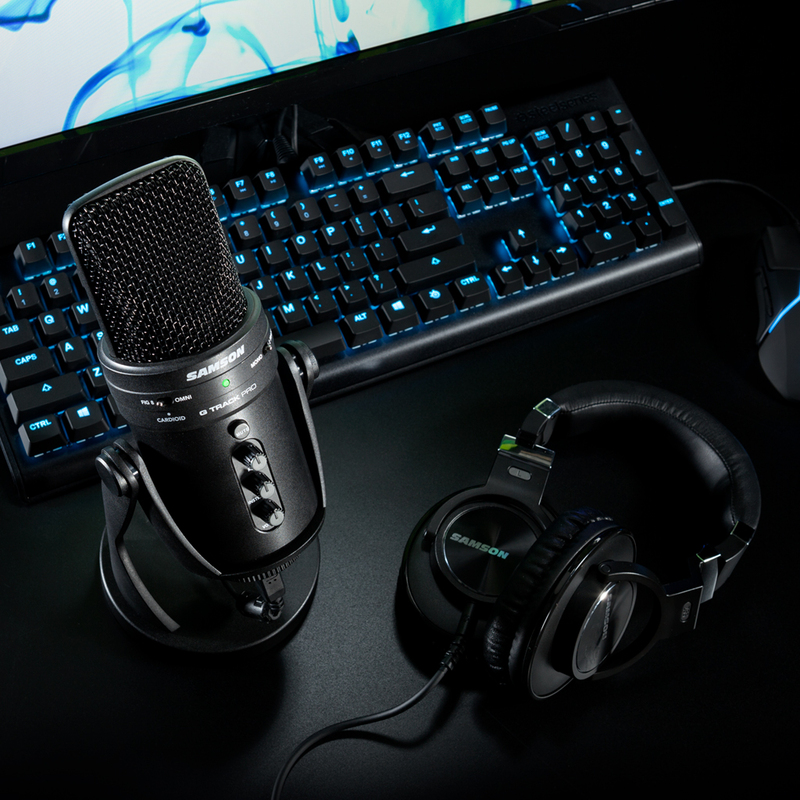 G-Track Pro’s premium A/D convertors with up to 24-bit/9Hz resolution bring high-definition audio to your computer for in-game communications, streams, podcasts and music projects. With zero-latency direct monitoring from its 1/8″ (3.5mm) headphone jack, G-Track Pro produces no delay between the audio you’re recording and the audio you’re hearing. Its Monitor switch allows you to turn off direct monitoring while still hearing the audio back from your computer. With zero-latency direct monitoring from the 1/8″ (3.5mm) headphone jack, G-Track Pro produces no delay between the audio you’re recording and the audio you’re hearing. Its Monitor switch allows you to turn off direct monitoring while still hearing the audio back from your computer. 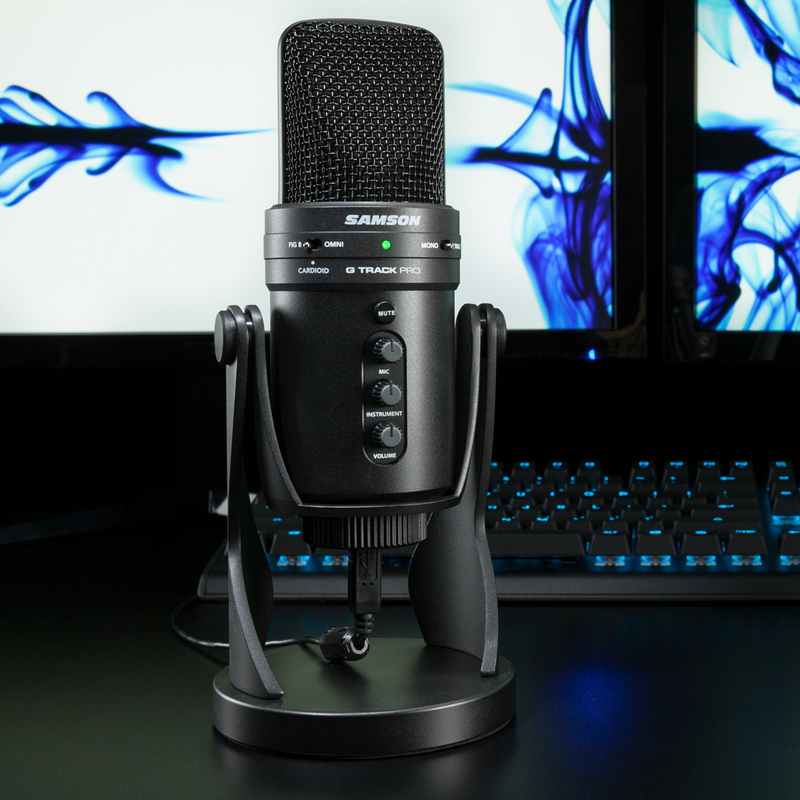 "The best microphone for streaming and podcasting." 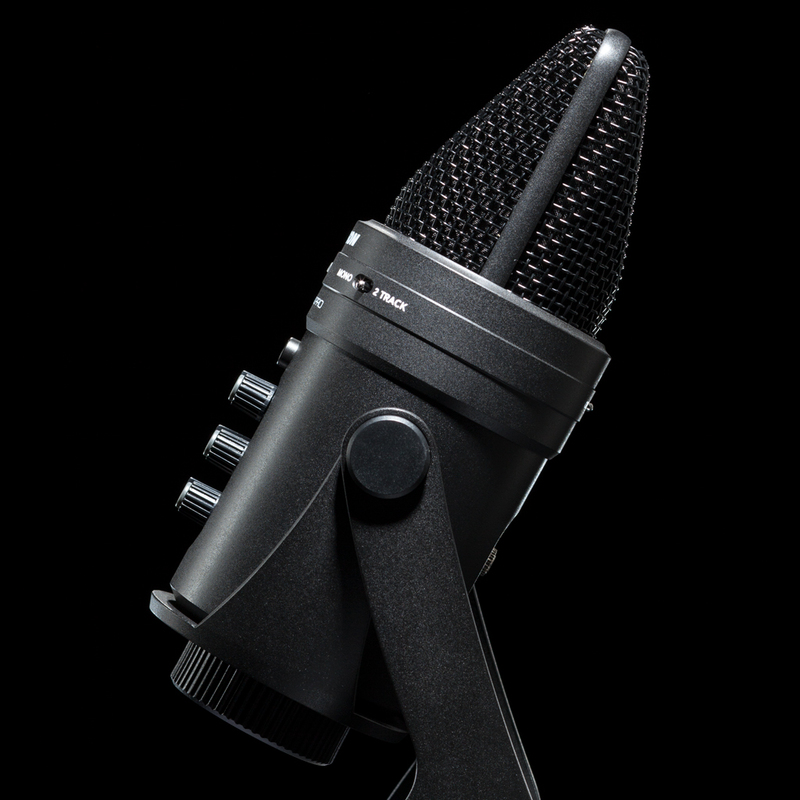 G-Track Pro is the only microphone with a 1/4″ input to also connect an instrument or line level device. Record a guitar direct, add more channels with a submixer, or include audio drops in your stream from a mobile device. Mix the two tracks (mic and 1/4″ input) together for your live stream, or record to separate tracks for other audio projects. G-Track Pro is the only microphone with a 1/4″ input to connect an instrument or line level device. Record a guitar direct, add more channels with a submixer, or include audio drops in your stream from a mobile device. Mix the two tracks (mic and 1/4″ input) together for your live stream, or record to separate tracks for other audio projects. 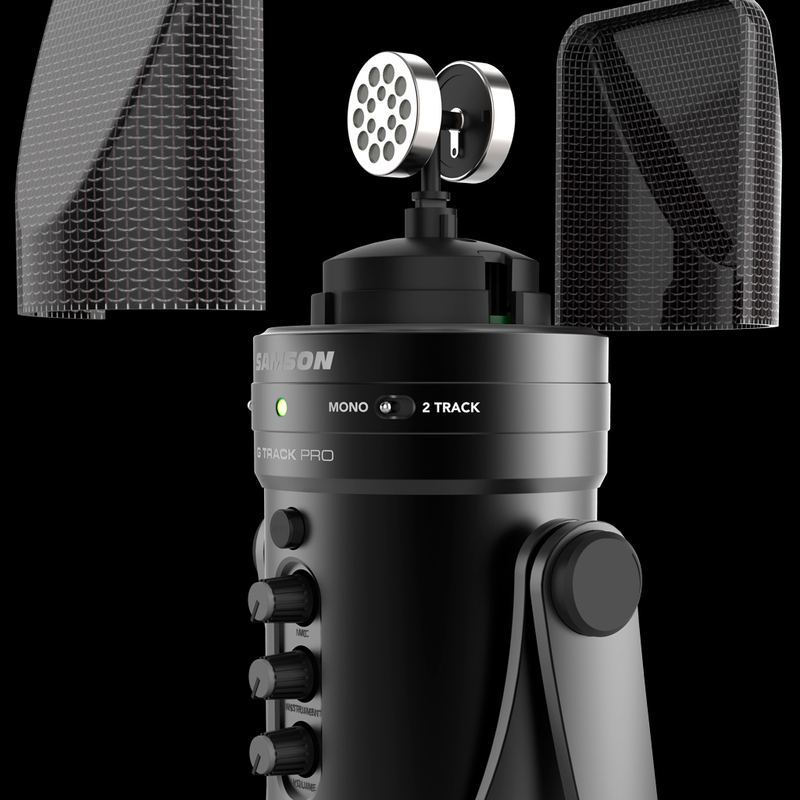 Optimize your recordings by positioning G-Track Pro to directly capture the sound source. 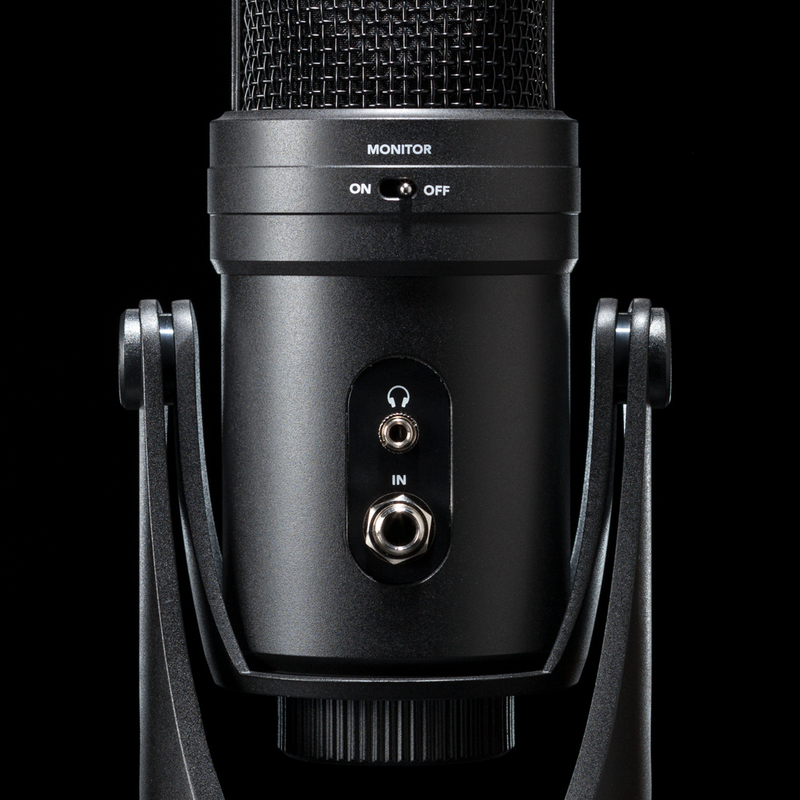 With unique permanent grip-hinges, all you need to do is rotating the microphone to the desired position and start recording.